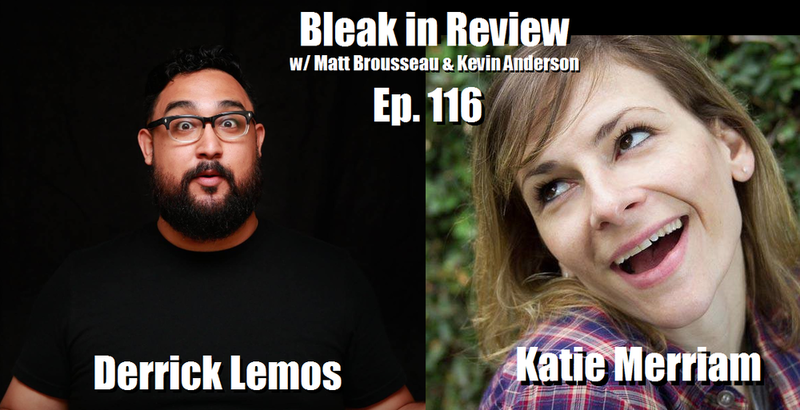 Bleak in Review returns with a thrill and a chill as Matt tells Kevin about a few bar ghosts he encountered, and Kevin tells Matt about being class-shamed by a bathroom. Then, comedian Derrick Lemos sits down with the Bleak Boys to chat about a strange trend in white martyrdom, philosophical dietary dilemmas, and the reason he felt compelled to leave his exotic hometown. Plus, returning guest / Alex Jones' literal hellspawn Alexandra Jones appears in the studio to berate an Amazon Echo, sort of update everyone on her dad's career, and promote her new, alternative "yoga" studio in the center of the Earth!